There are some Android settings you would need to modify/verify. Follow the instructions here first before continuing. The main screen has three panels. You can choose to have any of them enabled and disabled. This is done using the 'Display' Settings in the General Configuration. The static images panel. This panel contains a set of images which remain in view while the dynamic panel can have images and groups of images. 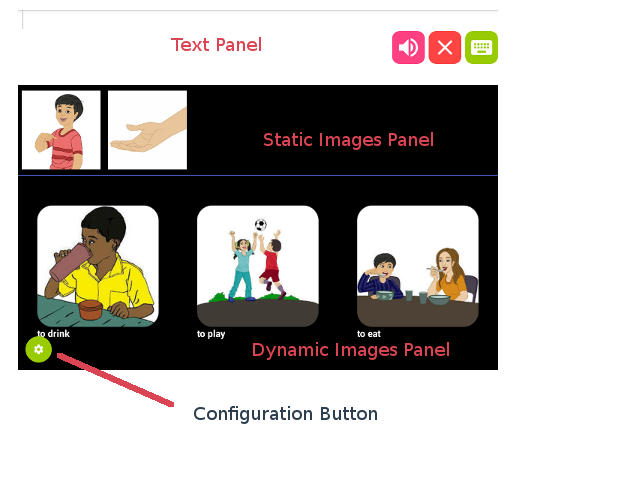 The dynamic panel with groups of images. Important: There are some Android Settings that need to be updated. Please follow this link and do the settings changes. This option is used for creating a new configuration. A text box is popped up. Type a name to create a new configuration with that name.